Advance Individual Athletes by Building Team Players for Life! Atown VB is committed to growing individuals in volleyball and life! "A-Town Volleyball Academy is a different kind of volleyball club! Coach Angela Freeze's mission to increase the skill level of each INDIVIDUAL player on the team is what makes this club different. My son was on a team of players with varying abilities-from first year beginning players to elite athletes with many years of experience. EVERY player was coached to advance HIS individual skill level. The beginners were not left out of training; as they increased their basic skills to become contributing members of the team. Advanced players were given much opportunity to advance their skills as their skills increased throughout the training. Along with volleyball skills, the team received speed and agility training to increase their overall athletic ability. I saw more growth in my son's athleticism and volleyball skills in one season than I have seen over several past seasons. This philosophy of coaching each individual player at his level created a team that increased in competitiveness throughout the season. Each player on the team was able to hold their own and contribute their skills during tournament action. A-Town Volleyball players were expected to show good sportsmanship and team unity throughout the season. Respect for coaches, officials and fellow players is expected. The coaches love their team and it shows. 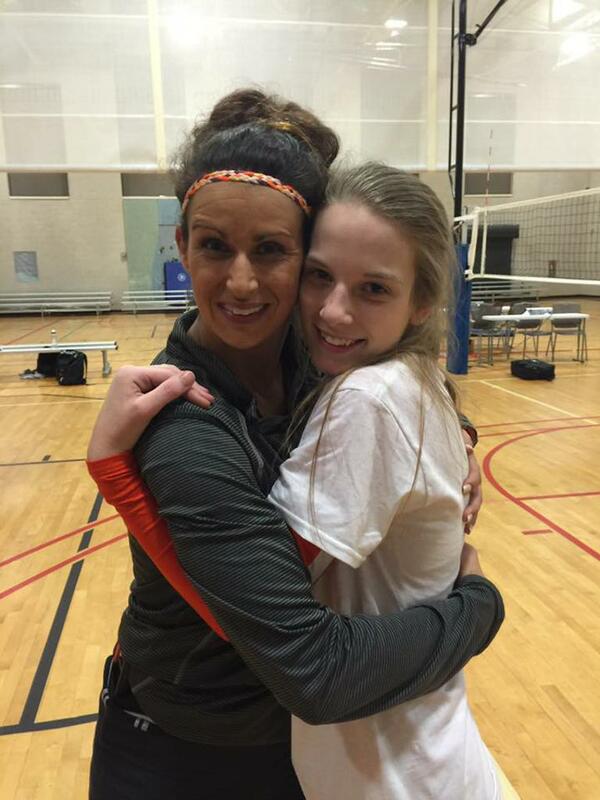 A-Town Volleyball Academy truly builds all around athletes--mind, body and spirit!" Michelle W.
**NOTE: Due to HS championships an additional date after athletes have finish their high school commitment will be assigned. Any athlete still in season is not allowed to tryout for club until the end of their season. "I admit, I was one of those parents that rolled their eyes about club paying parents...that is until I had my own reason to try it out. After years of playing school ball and getting little playing time on varsity. We really wanted our oldest daughter to get to play and not sit out for her senior year. At Atown, we were blown away at how she grew as an individual player, making life long friends with her teammates and having coaches who “got” her. At ATown you don’t hear coaches yelling at players because of mistakes, instead you find them pulling girls out of the game to teach them what is wrong with their form etc..then putting them back in the game and helping them get it right the next time. I will have my third daughter going through the program this year and I love to see how they have thrived under this type of coaching! Thank you ATown! We love you!" Sharla G.
©2019 A-Town Volleyball / SportsEngine. All Rights Reserved.